Lawmakers haven’t yet agreed on the details, but leaders in the state House and Senate announced Monday they plan to hold a special session this summer to try to resolve their impasse over how to provide more funding for the city’s 20-mile rail project. Star-Advertiser. 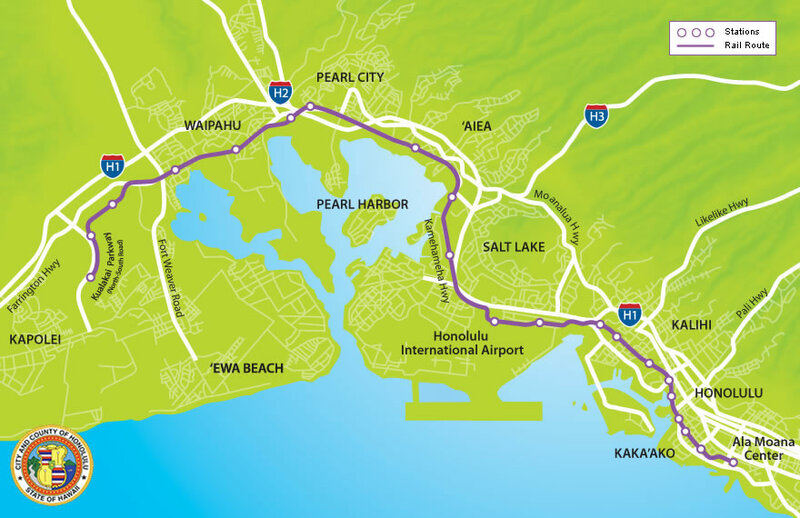 Hawaii lawmakers plan to convene a special session in July or August to again try to reach a deal on how to fund the remainder of Honolulu’s 20-mile rail project, which is now billions of dollars over budget. Civil Beat. Hawaii lawmakers on Monday told the Federal Transit Administration that they will hold a special session this summer to find a solution for the funding issue surrounding Honolulu's rail project. Pacific Business News. More than two months after lawmakers wrapped up the legislative session with no deal on how to fund Oahu's beleaguered rail project, state lawmakers are trying to reassure the federal government that they'll hold a special session on the issue by August. Hawaii News Now. 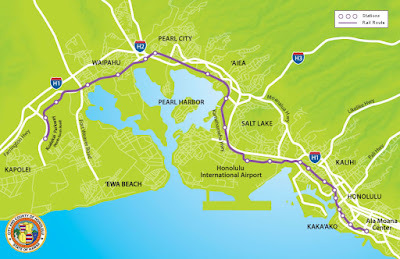 House Speaker Scot Saiki and Senate President Ron Kouchi have sent a letter to the Federal Transit Authority assuring they intend to meet in special session this summer. KITV. Hawaii State legislative leadership says there will be a special session before the end of the summer in order to take on funding for Honolulu’s rail project. Big Island Video News. Hawaii lawmakers plan to hold a special session this summer to discuss funding for Honolulu’s troubled rail line. Garden Island. Hawaii Gov. David Ige on Monday signed into law a bill that provides increased oversight and third-party verification of state information technology projects within the executive branch. Pacific Business News. Rep. Beth Fukumoto was accepted into the Democratic Party on Saturday with the unanimous vote of the Oahu county executive committee. Star-Advertiser. Hawaii, led by Governor David Ige, is staking out an increasingly combative stance in opposing Trump administration policies. Civil Beat. MacNaughton Group donates $1 million to help Hawaii’s homeless veterans. Star-Advertiser. Scores of homeless vets to be housed thanks to $1M donation to Hawaii nonprofit. Hawaii News Now. Commentary: Candidates so far for LG fail to spark voter enthusiasm. Star-Advertiser. The Honolulu Authority for Rapid Transportation in 2013 spent $35,000 on a peer review that yielded fairly routine findings. Its attorneys fought to keep the report secret for four years. Civil Beat. Lawmaker demands answers after state boots deputy sheriffs from Honolulu airport patrols. KHON2. The owner of Valley of the Temples Memorial Park will preserve and enlarge its historic main building, which includes Hawaiian heiau references, under a plan to establish mortuary services and a bigger chapel at the Windward Oahu property. Star-Advertiser. Ala Moana Center is getting its own weekly farmers market. KHON2. East Oahu neighborhoods experienced strong sales in May, with closed sales of single-family homes in the Aina Haina and Kuliouou area more than tripling, according to the Honolulu Board of Realtors monthly local market update.Pacific Business News. A Kona coffee farmer whose fight against deportation has played out publicly in recent weeks is thanking Hawaii residents and lawmakers for their support. Hawaii News Now. Researchers can now look with a bird’s-eye view at rapid ohia death in an entire forest and also microscopically within a single tree. Collaborating researchers showcased their wide-ranging technology for journalists Monday at the Hilo Air Patrol. Tribune-Herald. The Department of Water Supply reported last week that North Kona consumers are largely ignoring the mandatory 25 percent reduction in water usage the department first issued in January. West Hawaii Today. Drought conditions on Hawaii Island are improving, according to the latest Drought Information Statement issued by the National Weather Service in Honolulu. Big Island Video News. Hawaii County’s unemployment rate increased a fraction last month but remains near 10-year lows, according to recent figures from the state Department of Labor and Industrial Relations. Tribune-Herald. Global media leader and philanthropist Oprah Winfrey will appear for a special conversation at Maui Arts & Cultural Center’s outdoor Alexander & Baldwin Amphitheater on Monday, June 26. Maui Now. Haleakalā National Park is still seeking cultural practitioners from local communities for is Hana Noʻeau program, a series of cultural demonstrations that is offered in the park’s Kīpahulu and Summit Districts. Maui Now. The county’s electronics recycling program on Maui and Molokai will be suspended for five weeks beginning July 1 in order to implement new processing and Mainland shipping systems, the Department of Environmental Management has announced. Maui News. Kmart’s last day of business on Maui drew many loyal customers for the same reason it always has over the past two decades: all the great deals. Maui News. County and industry leaders said Monday investments in renewable energy systems are key to lowering dependence on fossil fuels while strengthening the economy. Garden Island. Sunday was a day when the more than 350 people involved with Tropic Care Kauai 2017 could let their hair down and enjoy the hospitality and gratitude of a grateful island at a luau put on by the Smith’s Tropical Paradise family. Garden Island.